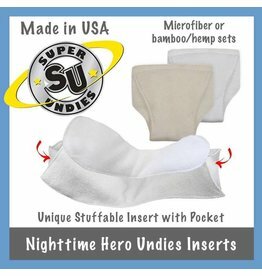 Super Undies Nighttime Hero Undies are designed to have maximum absorbency where it is most needed. Paired with Nighttime Hero Inserts (sold separately), Nighttime Hero Undies are the ultimate bed-wetting solution! Why Do Nighttime Undies Work? The bedwetting pants are made to hold the Hoover Dam. Super Undies started with a good concept on retaining a nighttime accident, then we beefed it up. This specialized insert contains 3 layers of absorbency and is 4.5" wide, making it a considerable absorbent force. It creates a mini-diaper effect when used with our Hybrid Undies. 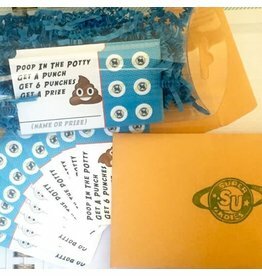 Poop may not be fun, but what a great way to put a fun spin on it! These cards are professionally printed on high quality card stock and ordered from the press. These are NOT cards we print on a home printer and cut out for you! 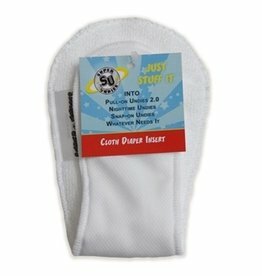 The Super Undies Pull On Undies 2.0 have a waterproof wet zone, stretchy sides to make them easy to put on and take off, inner absorbency and a hidden pocket.